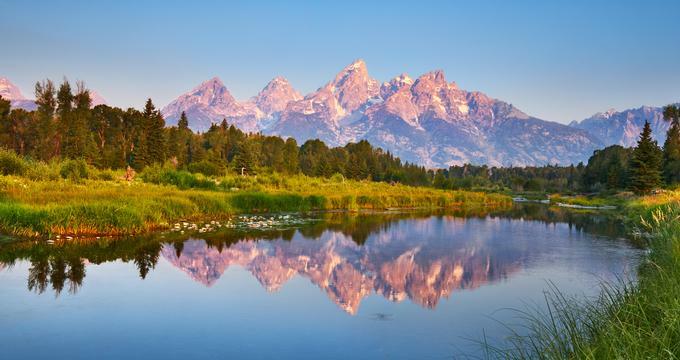 At a whopping 310,000 acres, Grand Teton National Park comprises verdant valley floors, alpine lakes, mountain meadows, and the towering summits of the Teton Range. Situated just north of the community of Jackson, Grand Teton offers a robust setting ideal for road trippers, nature lovers, and outdoor adventurers. It is home to iconic locations and legendary landscapes such as Moulton Barns and Mormon Row, two of the most photographed areas in the park, making it a sought-after vacation destination. Due to its popularity, the park offers a wide range of accommodations including mountain-inspired lodges, log cabins, bed and breakfasts, resorts, and even teepees in eight distinct areas within the park’s boundaries. Here are 25 of the best accommodations when visiting Grand Teton National Park. 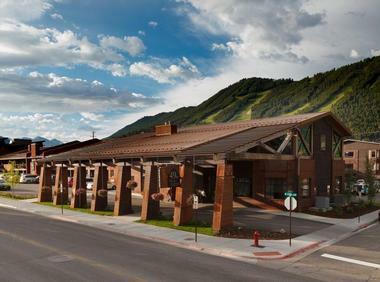 Travelers staying at Jackson Lake Lodge are sure to have a one-of-a-kind Jackson Hole experience. This 385-room eco-hotel is located in Wyoming’s Grand Teton National Park. From the moment they enter, guests will be mesmerized by the 60-foot windows in the lobby displaying unparalleled panoramic views of Jackson Lake and the marvelous Teton Range. Guests can enjoy activities like a round of golf at the Jackson Hole Golf & Tennis Club, rafting down the Snake River, or horseback riding. All of the rooms are sleek, styled in rustic mountain decor, and feature modern amenities. Guests will appreciate the variety of dining options here. This AAA four-diamond resort offers guests an opulent touch to their national park experience. 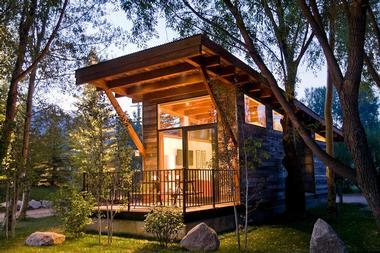 Jenny Lake Lodge cabins are relaxing, private, and elegant. They provide the perfect blend of Old West charm and modern comfort. Located in Grand Teton National Park, travelers will have a variety of activities to choose from, like a guided fishing excursion, Jackson Lake boat cruise, or raft tour down the Snake River. Cabins have lodgepole pine walls, wood floors, plaid armchairs, and rustic decor. They also have private bathrooms and complimentary Wi-Fi. Guests can enjoy their morning coffee on the porch surrounded by picturesque wilderness. Travelers will find this award-winning boutique hotel located in the town of Jackson, in the heart of Jackson Hole, Wyoming. The Wort Hotel exemplifies historical charm while giving its guests an experience filled with luxurious amenities and services. Guests will appreciate the convenient access to several restaurants, shops, and ski resorts in town. Grand Teton and Yellowstone National Parks are easily reachable for day trips as well. The rooms here are chic, comfortable, and feature a Western-style theme. Room amenities include private bathrooms, Keurig coffeemakers, and complimentary Wi-Fi. More than 4,000 uncirculated 1921 Morgan Silver Dollars are wonderfully on display around the hotel. Situated at the bottom of Jackson Hole Mountain, travelers will find this luxury hotel nestled in the center of Teton Village, Wyoming. Guests will appreciate the hotel’s close proximity to Grand Teton National Park and the popular Jackson Hole Mountain Aerial Tram. 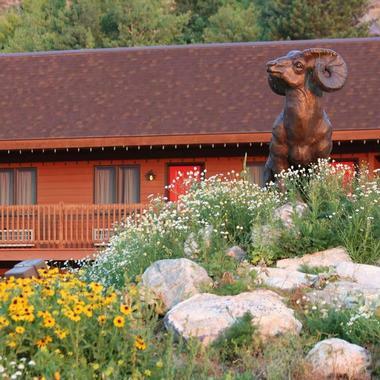 Snake River Lodge & Spa delivers a rustic-chic blend of Western-mountain decor. The hotel offers 125 traditional suites and guestrooms, and 30 residences with two to four bedrooms equipped with full kitchens. Guests will enjoy award-winning Western cuisine, a revitalizing full-service spa, and outdoor/indoor pools with cascading waterfalls. The summer season offers guests several restaurants and shops to explore. 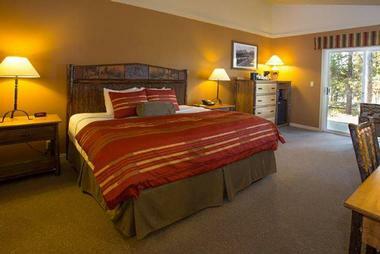 The charming 49’er Inn & Suites hotel is family owned and located in Wyoming’s Jackson Hole. Town Square and the world famous Million Dollar Cowboy Bar are just a short walk from the hotel. Both Grand Teton and Yellowstone National Parks are both easily reachable by vehicle. The hotel’s property features several buildings and received a dramatic upgrade in 2015. The exposed steel beams and ducting, knotty pine ceilings, and Southwestern decor give the hotel an industrial-chic meets rustic cabin feel. Rooms are spacious with rustic furnishings and modern amenities. Travelers will enjoy the hotel’s indoor pool, fitness center, and breathtaking views of Snow King Mountain. Fireside Resort is a rustic, LEED-certified 23-cabin boutique hotel located in the town of Wilson, part of Wyoming’s Jackson Hole. The property is surrounded by lush green vegetation and towering canopies of trees. There are several attractions and ski resorts within a 20-minute drive of Fireside, including Grand Teton National Park. The cabins are modern, with a rustic look and upscale amenities. They feature reclaimed wood floors, brown leather sofas, and dark wood cabinets. Additionally, they have fully stocked kitchens, private full bathrooms, and flat-screen TVs. 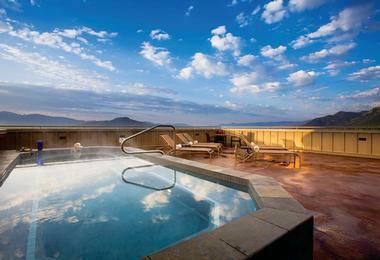 Guests can enjoy stunning mountain views while they relax in the resort’s outdoor Jacuzzi. 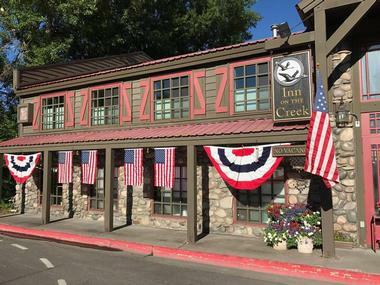 Situated along Interstate Highway 191, the Flat Creek Inn & Mart is a family-owned motel located in Jackson, Wyoming. The exterior of the motel is brown with red room doors, and it has a country cabin look to it. Rooms are spacious and decorated with earth tones. They also feature wooden furnishings, private bathrooms, and TVs. Nature lovers will appreciate all of the windows at the motel facing the picturesque National Elk Refuge. Guests staying here are more than likely to observe some of Jackson Hole’s wildlife species, which include mule deer, big horn sheep, bison, and thousands of migrating elk. This beautiful mountain resort is nestled in the Caribou-Targhee National Forest, which is located in Alta, Wyoming. The abundance of fresh powder and absence of lift lines during the winter, plus endless biking and hiking trails during the summer, make Grand Targhee Resort an excellent option for travelers all year round. 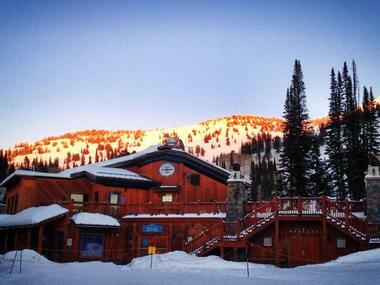 Slope-side accommodations like the Teewinot Lodge and Targhee Lodge provide easy access to the mountain and its lifts. The townhomes and condos are perfect for families and groups that want to stay connected to nightlife, shopping, and local fare. Meanwhile, their vacation homes offer the perfect balance of opulence and serenity. Grand Teton Lodge offers travelers four different types of accommodations to choose from – Headwaters Lodge, Colter Bay Village, Jenny Lake Lodge, and Jackson Lake Lodge. Guests will appreciate the close proximity to Yellowstone National Park that Headwaters Lodge provides. Colter Bay Village offers guests charming mountain cabins set along a sparkling lake with a Grand Tetons backdrop. Jenny Lake Lodge provides opulence in AAA four-diamond fashion, while Jackson Lake Lodge will delight guests with its panoramic Teton Range and lake views. Guests can keep themselves busy with horseback riding, kayaking the lakes, or scenic rafting down the Snake River. Travelers will find this charming resort off of highway 26, in the northern part of Jackson Hole. There are several structures used on the resort; the main lodge was constructed in 1954 using lodgepole pine gathered from the surrounding forest. Situated on 7 acres of gorgeous national forest, the Hatchet Resort is listed with Teton County’s Historical Preservation Board. 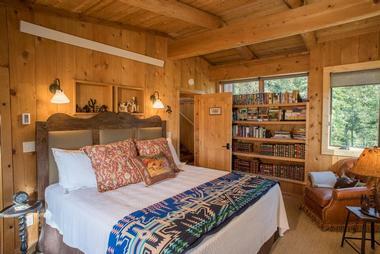 The rooms feature knotty pine paneling, reclaimed wood floors, and Western-style log decor. Rooms amenities include new beds, new flat-screen TVs, and private bathrooms. 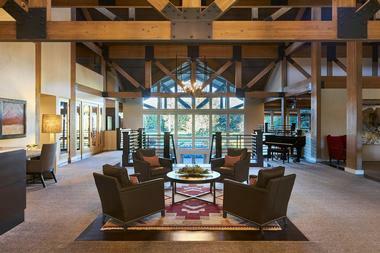 Travelers will appreciate the resort’s close proximity to both Grand Teton and Yellowstone National Parks. For travelers who want to escape the tech world that consumes them and truly have an intimate experience with nature, Headwaters Lodge & Cabins at Flagg Ranch is just the place. No Wi-Fi, no cell service, no problem. Guests can fill their days with fly fishing the Snake River, hiking with guided tours through Grand Teton and Yellowstone National Parks, or horseback riding through Wyoming’s magnificent back country. 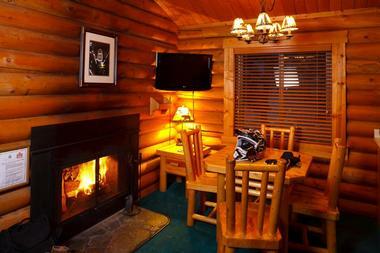 The charming Western-style log cabins have sleek interiors that are loaded with modern amenities. Rooms have Western-style log furniture, private bathrooms, coffeemakers, private entrances, and porches with rocking chairs. This is an eco-travelers’ favorite choice. 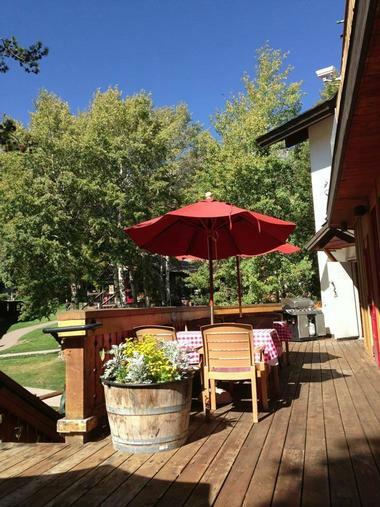 Situated adjacent to Flat Creek, Inn on the Creek is a Jackson Hole bed and breakfast owned by Amy and Casey Morton. Conveniently encircled by two national parks, it’s known for its picturesque setting, recreational activities, delectable breakfast, and friendly service. Their rustically designed guestrooms boast light wood furnishings, plush red beddings, cozy brown leather chairs, and modern amenities. Upgraded in-room amenities can include Jacuzzi tubs, fireplaces, creek views, and efficiency kitchens among other highlights. The inn is just four blocks from Town Square, providing guests with easy access to all of Jackson’s best activities, eateries, boutiques, and nightlife. This beautiful four-level home has a treehouse feel with the way it’s nestled into the surrounding forest. 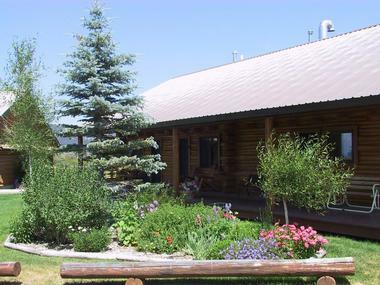 The Jackson Hole Hideout Bed & Breakfast is situated on four picturesque acres of land in Wilson, Wyoming. The lodge-style property features exposed wood beams, cozy spaces inside and out, and large windows. Travelers can reach Jackson Hole Mountain Resort in 10 minutes and Grand Teton National Park in 30 minutes by car. Whether it’s the Trail Boss Room with its spa-like bathroom or the Gunslinger Suite with its large private deck, a peaceful and nature-filled Jackson Hole retreat awaits. 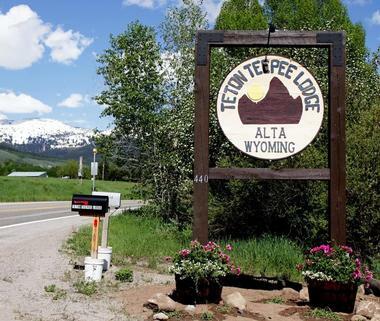 Luton’s Teton Cabins are located just off of U.S. Route 26, in Wyoming’s Jackson Hole. The log cabins are situated on a beautiful family ranch surrounded by picturesque wilderness, offering guests sweeping views of Grand Teton National Park and the majestic Teton Range. Guests can enjoy activities that include whitewater rafting down the Snake River, horseback riding, and hiking through wonderfully scenic national parks. 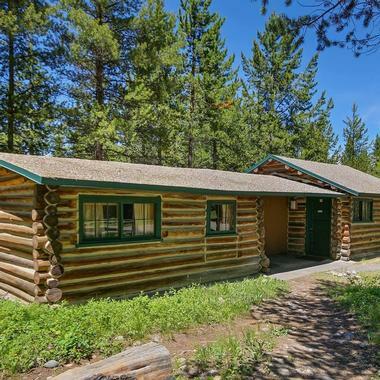 The cabins have an Old West charm, with their lodgepole pine walls, knotty pine ceilings, large rectangular windows, and rustic Western-mountain decor. The cabins feature fully stocked kitchens, private bathrooms, and complimentary Wi-Fi. This beautiful Jackson Hole retreat is located in Grand Teton National Park, nestled along scenic Jackson Lake. Signal Mountain Lodge takes pride in being the park’s only lakefront accommodations, ensuring its guests receive a one-of-a-kind national park experience. Travelers staying here can enjoy activities that include guided park and fishing tours, lake boat rentals, or scenic float trips down Snake River. 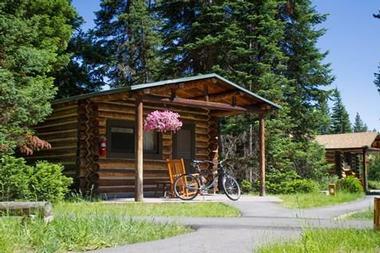 The lodge offers several accommodations that include rustic log cabins, bungalows, and lakefront retreats. All units are equipped with full bathrooms, porches, and Wi-Fi. Guests will be only steps from breathtaking views of Jackson Lake and the Teton Range. Teton Mountain Lodge & Spa is a four-diamond luxury retreat that is situated slope-side to Jackson Hole Mountain Resort in Teton Village, Wyoming. Guests staying here will appreciate the convenience of reaching attractions like Grand Teton and Yellowstone National Parks and the National Elk Refuge. Guests can easily partake in outdoor activities including hiking, mountain biking, and horseback riding, or enjoy something a little more relaxing like lounging by the pool, soaking in a hot tub, or getting a massage at Spa Terre. Rooms have private bathrooms and flat-screen TVs; some feature extra touches like fully equipped kitchens and stone-faced fireplaces. Ideally situated between the buzzing town of Jackson and Teton Village’s Jackson Hole Mountain Resort, Teton Pines Resort & Country Club offers its members an incredibly relaxing atmosphere with spectacular beauty. During the summer, members can play rounds of golf on the Arnold Palmer-designed 18-hole championship golf course while enjoying stunning views of the Teton Range. Members will also enjoy the outdoor swimming pool, year-round tennis courts, and mouthwatering cuisine from the Pines Restaurant. Members can enjoy six pre-determined weeks of vacation time at the Residence Club. This rustic, elegant retreat provides exquisite views of the golf course and the Teton Range. The Teton Teepee Lodge is just that, a lodge constructed out of wood and formed into the shape of a teepee. The 17 rooms circle around a large common room that features a cool fireplace in the center. Nestled along Teton Creek in Alta, Wyoming, guests will experience a relaxed and tranquil retreat environment. Patrons can enjoy activities that include day trips to both Grand Teton and Yellowstone National Parks, mountain biking tours through the Caribou-Targhee National Forest, or an epic fishing trip. The rooms are contemporary in design and use neutral colors. They also feature private bathrooms and complimentary Wi-Fi. 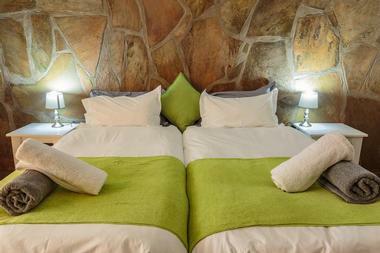 Travelers looking for an intimate mountainside escape should give serious consideration to Alpenhof Lodge. 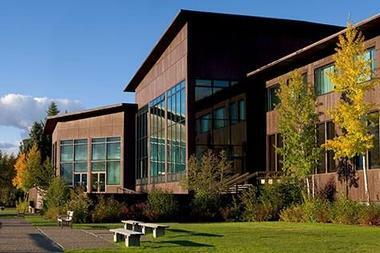 The ski lodge is located in Teton Village, at the base of Jackson Hole Mountain Resort in Wyoming. One of the lodge’s most popular features would be its unrivaled proximity to the chairlifts; they’re a guest favorite. The lodge has a rustic alpine look to it with knotty pine paneling, stone features, and warm wood furnishings. The rooms have a similar alpine decor and feature Bavarian furniture, private bathrooms, and flat-screen TVs. During the summer guests can enjoy the serene sundeck with loungers and the sparkling pool. 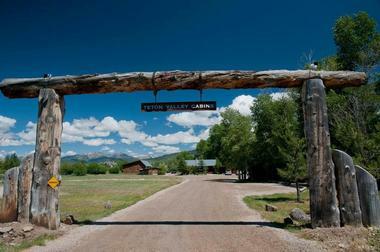 Teton Valley Cabins is an excellent low-budget option when visiting Driggs, Idaho, and the Teton Valley area. Travelers can enjoy their very own lodgepole pine cabins nestled in the cottonwood forest, just west of the majestic Teton Range. During summer, guests can enjoy scenic trails for mountain biking, hiking, and horseback riding. In the winter they can ski or snowboard at Grand Targhee Resort or snowmobile for the day. There’s a large picnic area with horseshoe pits, a volleyball net, fire pit, and charcoal grill. All cabins have kitchenettes, shaded porches, private bathrooms, complimentary Wi-Fi, and satellite TV. The Inn at Jackson Hole is an incredibly charming hotel surrounded by the magnificent Grand Teton Mountains. Located in Teton Village, within Wyoming’s Jackson Hole, travelers will be treated with a comfortable and picturesque stay. There are several restaurants and shops nearby to check out. During the summer, patrons can raft, paraglide, or golf; during the winter they can snowmobile, cross-country ski, and enjoy sleigh rides. 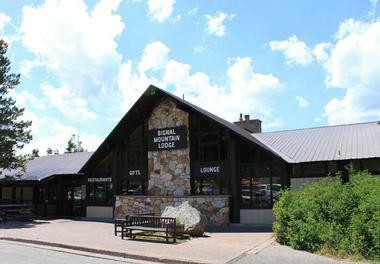 Guests will also appreciate the inn’s close proximity to Grand Teton and Yellowstone National Parks. The rooms are spacious, comfortable, modern, and elegant in design. The property also features a pool and hot tub. 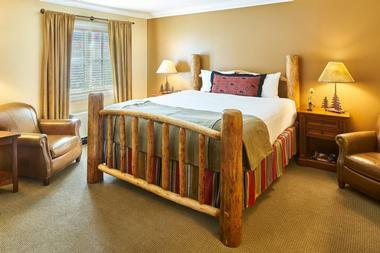 The Virginian Lodge is a charming Jackson Hole accommodation located in the town of Jackson, Wyoming. Visitors will have easy access to surrounding national attractions from here, like Grand Teton and Yellowstone. During the winter, guests can enjoy some skiing or snowboarding with the lodge’s close proximity to Snow King Mountain Resort. The Virginian Saloon is a popular spot with its pool tables, live music, and large flat-screen TVs. 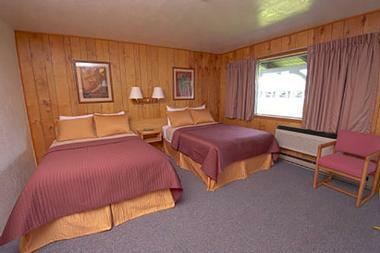 Rooms are simply decorated with gray carpeting, knotty pine walls, and wood furnishings. Some rooms come with kitchenettes and Jacuzzi tubs. The property also features an outdoor hot tub and pool. Togwotee Mountain Lodge is nestled in the Bridger-Teton National Forest, located up high in the mountains over Jackson Hole, Wyoming. The lodge has garnered a reputation of being one of the world’s premier winter sports resorts. During the summer, guests can enjoy days filled with hiking, fishing, and whitewater rafting. Yellowstone and Grand Teton National Parks are easily reachable from the lodge for breathtakingly scenic day trips. Guests can choose from room accommodations that include lodge rooms, suites, and cabins. 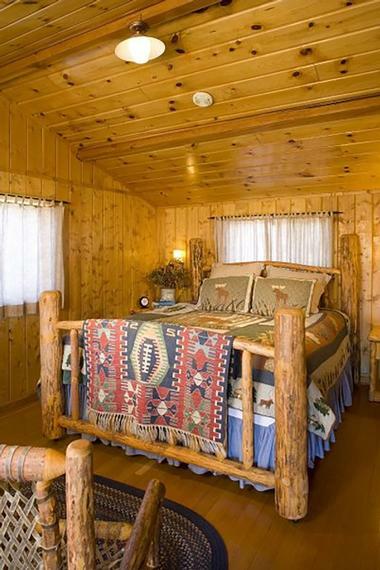 Rooms are spacious and feature Western-mountain style decor. Flat-screen TVs, complimentary Wi-Fi, and coffeemakers are additional room perks. This five-generation family-owned dude ranch is situated inside the marvelous confines of Grand Teton National Park, within Wyoming’s Jackson Hole. Triangle X Ranch has 20 cozy, rustic log cabins that have been attractively furnished with comforting amenities. The ranch is known primarily for its unrivaled horseback riding excursions. Grand Teton National Park and Bridger-Teton National Forest provide millions of acres of exquisite wilderness and trails for guests to explore by horseback. Other activities include hikes, scenic float trips down the Snake River, and world-class fishing experiences. Cabins feature full private bathrooms, small refrigerators, and porches with breathtaking views of the Teton Range. 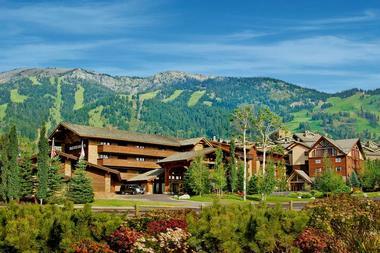 Wyoming Inn of Jackson Hole is a wonderfully picturesque retreat located in the charming town of Jackson. From the moment guests enter, they will be impressed as the lobby features a large wood-burning stone fireplace and comfortable leather seating. Also featured are Western-themed bronze sculptures by Frederic Remington and wildlife art on display from Thomas Mangelsen – an award-winning wildlife photographer. The hotel’s luxury rooms are designed with modern comforts and rustic elegance. The thoughtful room amenities and warm Western-inspired decor will make guests feel like they’re right at home. Grand Teton and Yellowstone National Parks are easily reachable for guests staying here.